Updated versions of DOSBox 0.74 for A320 Open Dingux and Ben Nanonote OpenWRT. Make sure you are using swapfiles on both A320 Open Dingux and Ben Nanonote OpenWRT. Also included are some fixes to the dyna-rec from d_smagin's DOSBox port to GCW-Zero. Changes to the dosbox.conf including increasing default memsize. The 'del' key ('red arrow' + backspace) is now working - was mapped to something wrong. Volume control using the keyboard now working. There is a new entry in the dosbox.conf to accommodate a default value. Other changes to the dosbox.conf including enabling the soundblaster. Or you can make it auto-mount using the /etc/init.d/ system. 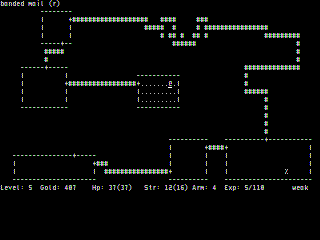 First is a link to Nethack 3.4.3 for Ben Nanonote. Based on jmarch's src code, I simply recompiled (with optimal GCC compilder options) so that this will work with latest OpenWRT. Also, I made sure that you can run it from any filesystem type - no "perm_lock" issues! Second is Rogue also for the Ben Nanonote. Makes use of setfont2 80x30 column mode but seems to work nicely. Screenshot using fbgrab of Rogue on Ben Nanonote. The font use sub-pixels due to the NN's pixel layout. Looks much better on the actual device. Well it's been a long time since posting. I sort of got burned out after the initial release of DOSBox... a few years ago (time flies) but I've got my mojo back and been developing again for the past few months. I've got a few goodies ready! 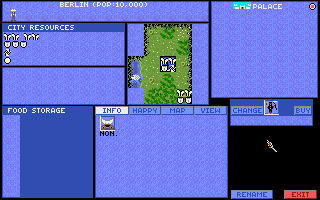 First up is DOSBox for Open Dingux - this has been compiled to work on the A320. Until recently, 95% of the dev work was actually on the Nanonote. I haven't tested it on that yet but it may work as well. Anyway, here it is. I've done a fair bit of testing the Open Dingux on my A320. I don't have a GCW-Zero yet so I don't even know if it will work - but I'm guessing it should. Please let me know if it doesn't. 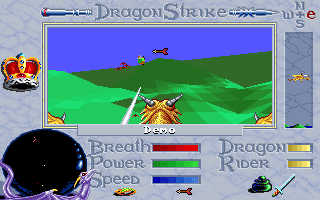 Basically DOSBox 0.74 is a PC emulator for Open Dingux running on an A320 or GCW-Zero. It has a full MIPS32R1 dynamic recompiler. Once I get a GCW-Zero, I'll make this MIPS32R2. 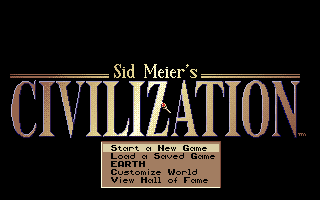 Civilization - One of my favorite 'test' games. Inside c_drive is the dosnav directory with the file launcher. The dosbox.conf has been carefully configured for near optimal settings. You can play with the values by all means but if something doesn't work try these basic settings first. By default the dynamic recompiler has been configured as the CPU emulation of choice as it's the fastest however please try the 'simple' CPU emulation as well as it's a good second choice if the dyna-rec doesn't work. It also gives pretty good performance in most cases. An On Screen Display keyboard or 'virtual keyboard' is included out of necessity - which is basically code from the GP2X version of DOSBox.0.72. Getting PC games to run in a satisfactory and enjoyable manner is heavily reliant on setting up the controls correctly - especially on a device like the Dingoo A320 that lacks a keyboard. By default, the A320's controls under SDL already has pre-coded keyboard controls however their usefulness varies with the program you wish to run. You will notice that the D-pad directional keys, START (ENTER) and X (SPACE) button will be your "friend" as many games will already use these keys for movement and actions. Over ride the default behavior and use a mapper file. I'll discuss the mapper file option on a follow up post. For now, a quick walkthrough of the Virtual Keyboard (VK). Thanks to the lack of real keyboard on the Dingoo A320, it's a bit tricky launching software. To assist, DOSNav has been included. It's basically a file browser and lets you launch software. Use the D-Pad to move around and START button to enter a directory or start an executable file. The Nanonote has superior usability thanks to it's micro keyboard. Whilst not as fast, due to the lack of overclocking software, it's a lot more satisfying to use as it "feels" more like a PC. Control input is all through the keyboard - there is no virtual keyboard option as none is required. The "Ben" key (next to the spacebar) toggles mouse on and off. Use the cursor pad and the up/down volume for mouse clicks. The blue "fn" key, hold and press cursor pad or up/down volume together for "instant activation". Everything else is printed on the keyboard and should be obvious. 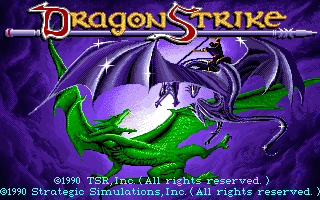 This work for all versions of DOSBox as it's the standard method. Press +F9 at the same time.